Let’s see how I can serve you! Not familiar with what I do? I’m launching my new online offerings in 2019. I’m offering personalized guided meditations and YogaNidras in English and Swedish. More about them here! Are you ready to go ALL IN on the life you came here for? It’s the life you dream about. The one you’re afraid of. The one you’re just barely able to imagine. The one that makes you wonder if you’re worthy. Well, this is it, I’m ready for you! I’m offering 3 different programs, all based online and you choose if you prefer to do them in Swedish or English. SoulWork Club - Online programs - Sign up today and get free access to the program and community for 2 years. 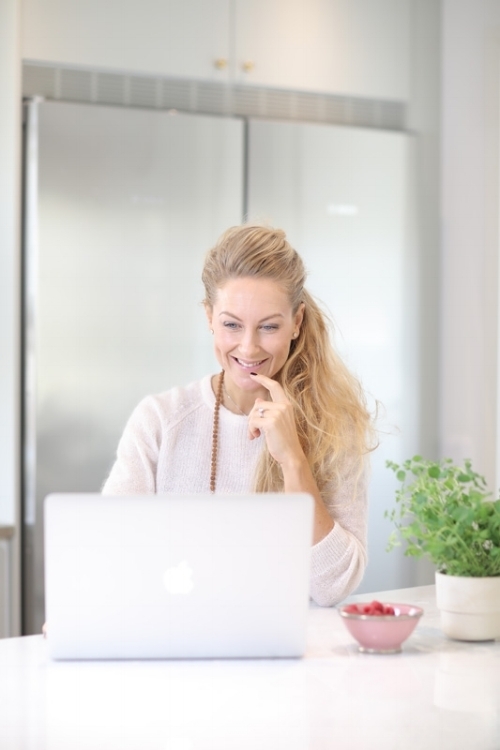 SoulWork Depth - Join me for a 4 week online coaching packed with juicy power and wisdom. It’s effective, feminine, fun and fits into your busy life. After all, just as your body needs a good regular workout, your soul does too. SoulWork Premium - 3 months personal coaching and individual mentoring. This is not about learning lessons or fixing yourself. It's not about self-improvement or self-help. It's about forgetting what you've been taught, and remembering what you KNOW. I love teaching group classes and I’ve always made time for it in my schedule. Back in the day’s I taught up to 20 classes a week and damn that was intense but fun! If you’re in Gothenburg don’t hesitate to come to one of my classes. Email me or the studio for info. All classes are taught in Swedish. Global Yoga is a playful, soothing and strengthening hatha yoga practice developed by Johanna over the last 15 years and our intention is to keep it evolving as research, humanity and technology evolves. We offer 200h + 500h teacher trainings, 50h workshops and a warm community where we evolve together. Find a Global Yoga class HERE! Try a Global YogaNidra HERE! Or try it online at YOGOBE - use code JOHANNA to get 30 days FREE! Would love to see you on the mat - read more HERE! Sharing moments of depth, inspiration, laughter and connection with audiences fuels my soul. These interactions are precious, and give me the opportunity to express my wisdom, my messages, and teachings. I believe in the power of moving people into action, by sharing masterful messages and stories. I work with communities, brands and companies to create meaningful experiences, and offer authentic wellness principles, tools and techniques. I invite you to lean into new states in the company of others and find yourself at a level you most likely haven't experienced before. You will feel lighter, inspired and be ready to take on the world and you will learn how to follow your deepest desire. Which is a real game-changer. Finally, your heart will be able to be more open. Let’s change your state - contact me and we’ll make it happen - together! Att dela stunder av djup, inspiration, skratt och samband med människor får min själ att jubla. Dessa interaktioner är enormt värdefulla och ger mig möjlighet att uttrycka min visdom, kunskap och mina budskap. Jag tror på rörelsens kraft och när vi landar i våra kroppar får vi tillgång till den och agera där vi tidigare var fast. Jag jobbar med företag, varumärken och föreningar för att skapa meningsfulla erfarenheter och erbjuda autentiska wellness principer, verktyg och tekniker. SoulWork Club is an online wellness club open 24/7 worldwide with tools designed to give you more life, more energy, more juice. More You! We’ve all heard that the body/mind is connected and of course the soul is to. We believe that mastery of one of these three unlocks the others potential. And we love working through the body cause so many of us spend so much time stuck in our heads or looking at a screen… Choose the program that vibrates with you, sign up with a one time purchase and it’s yours to do as many times as you want for the duration of 2 years! Inversioner har fascinerat yogis i åratal. Att vända världen uppochner kräver mod, utmanar vår perception, låter oss möte vårt ego, men kan även lugna ner, centrera och grunda oss. I denna workshop arbetar vi med hela spektrat, från barnet till handstående! I’m teaching several classes and workshops at the new Berlin Yoga Conference! Join for an authentic yoga experience. It is open to everyone no matter what personal background, yoga experience, or level. Anyone who is interested in a healthy lifestyle and ethical living is welcome! Euforin från klubbgolvet mitt på dagen och tekniker som boostar både kropp och själ!